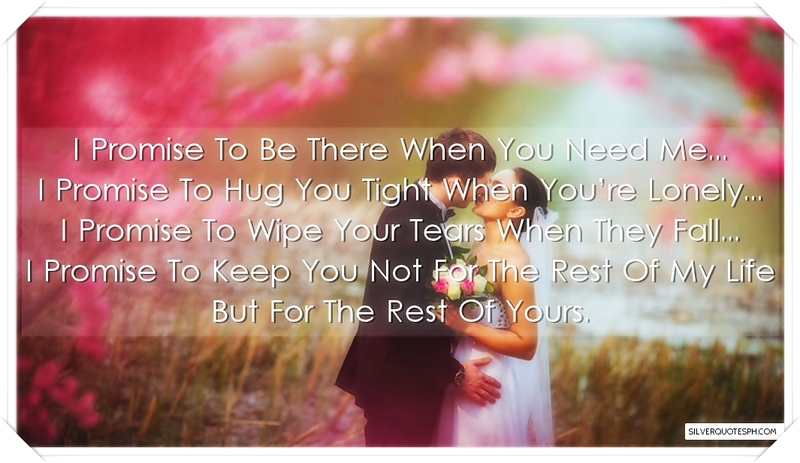 I Promise To Be There When You Need Me... I Promise To Hug You Tight When You’re Lonely... I Promise To Wipe Your Tears When They Fall... I Promise To Keep You Not For The Rest Of My Life But For The Rest Of Yours.